I wrote this guide for the Russian version of eBay as well as it’s similar equivalents, information on shipping, delivery, etc. — now in 2019, available in English. Looking for the best alternative? Try AliExpress — the most popular e-commerce site in Russia. The popular auctioning and buyer/seller portal eBay started it’s operations in Russia from February of 2010, then run by Vladimir Dolgov who had been the head of Russian Google and operated several online stores such as Ozon.ru, etc. Dolgov passed away in 2016 and the new CEO is Ilya Kretov. While the Chinese AliExpress remains the most popular e-commerce site, eBay is also very popular in the country and offers both global and local shopping. The portal is especially popular amongst foreigners thanks to both Russian & English language support and a familiar, trusted online brand. 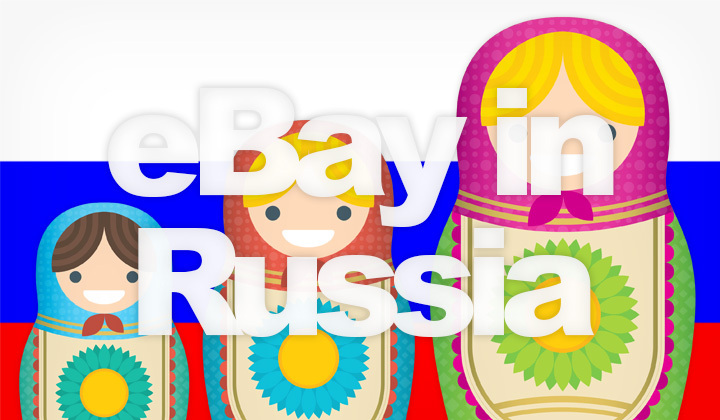 To access the Russia native version of eBay, you will need an internet connection physically located there (or a Russian IP address). Previously the website was located at the address eim.ru.ebay.eu, which along with ebay.ru is simply a forward to the main eBay site here — and even if you are not seeing the localized version, you can use it for English shopping in Russia. You will automatically shown the Russian version of the site. To change to English, follow these simple steps. Step 3. Click on it to change language. The default currency is Russian ruble, here’s how to change it. Step 1. Search for a product as you would do normally. Step 2. Look for the “View” options at the top of search. Step 3. Choose to “Customize your search” (Настройте поиск). Step 4. Deselect the “Convert prices to RUB” (Пересчитать цены в руб) box. From then on, you will see the actual currency of the seller, depending on what countries you are searching amongst (read below for more). For local shopping, you have the option to search for products that are located within Russia, amongst sellers in the country. Step 2. Look for the “Located in” menu at the bottom of page. Step 3. Select “Russia” from the dropdown list of countries. Step 4. Search for your desired products and items, which from then on will be narrowed down to sellers in Russia only. There are plenty of available fashion, electronic, and other items available from local sellers, try it out! For example, the country is known for affordable and efficient shipping from China and other Asian countries. Which obviously are competitive in price. Also eBay’s buyer protection is considered much better and reliable (refunds are usually very swiftly dealt with), unlike the one from AliExpress. Step 1. Search for your products as you would normally. Step 2. In the left navigation menu, you’ll find the “Item Location” (Местонахожден) options, where you can select the “Asia” (Азия) region and others. URLs ebay.ru & eim.ru.ebay.eu are obsolete and simply forward to the global eBay website at eBay.com, which provides the Russian localized version. As eBay mainly uses PayPal to process payments and money transfers, it’s good to know that they do not support withdrawing of funds to Russian bank accounts. This does not affect buyers as you can pay with most major credit cards, with or without a PayPal account. However, to pay without PayPal you must make sure that the eBay account email is not used for a PayPal account. As for sellers, if you are paid via PayPal this can affect your business and the common way to get around this restrictions is to withdraw funds to a US bank account. Even without a Russian IP address, you can set your country in user settings to Russia which will calculate shipping costs. Not convert currencies. While there are no exact local equivalents in Russia, here are the most popular sites similar to eBay and other alternative online shopping sites. They are all in Russian only, with the exception of AliExpress & eBay. The Chinese business to consumer portal Aliexpress has become the most popular e-commerce website in the whole of Russia. You can use their services both in Russian, English and many other languages. Competitive pricing. While eBay can be used to shop amongst a huge amount of Chinese sellers, AliExpress is a local equivalent that offers the same without bidding functions. Historically one of the biggest online trading platforms in Russia, it was launched in 1999 and closed in 2015. The site was known for it’s auctioning features. The “Newmolot” marketplace was founded in response to the closure of Molotok in 2015. Even though the site has self proclaimed itself as the “largest trading platform in Russia” it’s popularity is still largely overshadowed by it’s preceder. They remain to be like an old-fashioned auctions website. This is a popular price comparison site since 2000. You can browse and search through a wide selection of goods from trusted online stores in Russia. Since 2015, businesses are also able to open an online store and sell directly on the website. This is a somewhat popular but old-style classifieds website or bulleting board system for used items to be sold in Russia. Founded in 2017, similar to Craigslist. You can sort listings by region of Moscow, St. Petersburg, etc. and there are many categories such as Cars, Electronics, Real estate, Hobbies, Home, etc. This is a basic online retail store founded in 1998. Considered an equivalent most similar to services like Amazon. Website is only available in Russian, but they have a basic FAQ (Frequently Asked Questions) section in English. And that was my guide to Russian eBay in English. Thank you for reading, and for your visit. Any problems with eBay, shipping or e-commerce in Russia? Or need help in English? Comments below! Also, please let me know if amendment is required. As a measure of kindness I want to communicate to my readers about the possibility of affiliate links within the guides and posts. This supports the blog financially whenever appropriate, hopefully the benefit is mutual. Cheers!